Day 10: 7th grade improv! 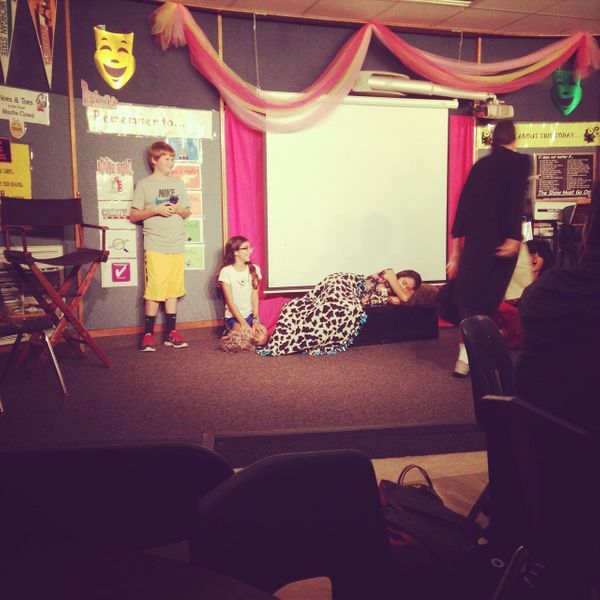 It's virtually impossible to describe what 7th grade improv is actually like. You pretty much just to have to experience it for yourself! Students got to pick one prop that somehow related to one of their interests and then were given a short time to come up with a skit that involved everyone and their props. Several of the kids will be ready for a guest appearance on "Whose Line is it Anyway?" in no time!